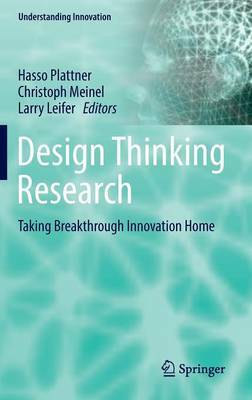 This book summarizes the results of Design Thinking Research carried out at Stanford University in Palo Alto, California, USA and at the Hasso Plattner Institute in Potsdam, Germany. Offering readers a closer look at Design Thinking, its innovation processes and methods, the book covers topics ranging from how to design ideas, methods and technologies, to creativity experiments and wicked problem solutions, to creative collaboration in the real world, and the interplay of designers and engineers. But the topics go beyond this in their detailed exploration of Design Thinking and its use in IT systems engineering fields, or even from a management perspective. The authors show how these methods and strategies actually work in companies, introduce new technologies and their functions, and demonstrate how Design Thinking can influence such unexpected topics as marriage. Furthermore, readers will learn how special-purpose Design Thinking can be used to solve wicked problems in complex fields. Thinking and devising innovations are fundamentally and inherently human activities - so is Design Thinking. Accordingly, Design Thinking is not merely the result of special courses nor of being gifted or trained: it's a way of dealing with our environment and improving techniques, technologies and life.